The one and only request from the bride-to-be was to have all her guests arrive at her bridal tea in white. Since the bride-to-be’s name starts with the letter “B”, SweetP has built a white bridal theme along the letter “B”, Ball and Bows. 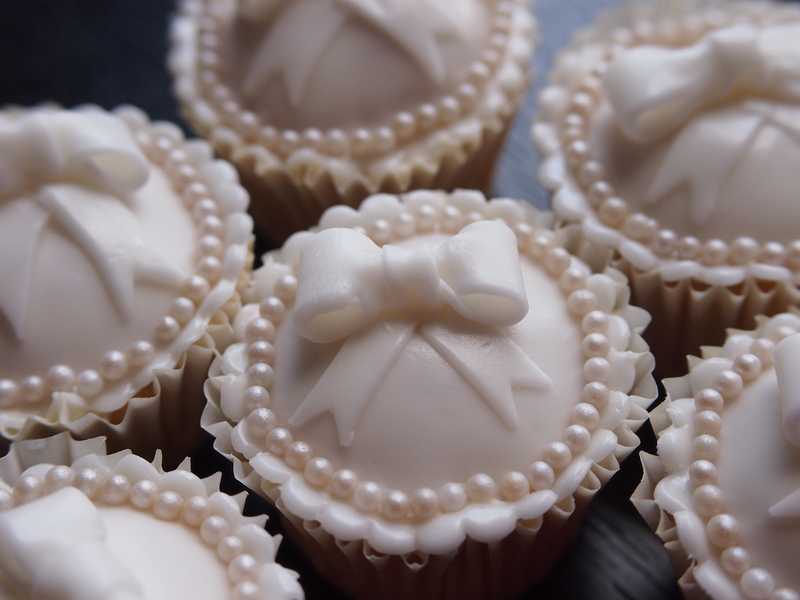 Homemade vanilla cupcakes featuring edible (“ball-shaped”) pearls and a white fondant bow. 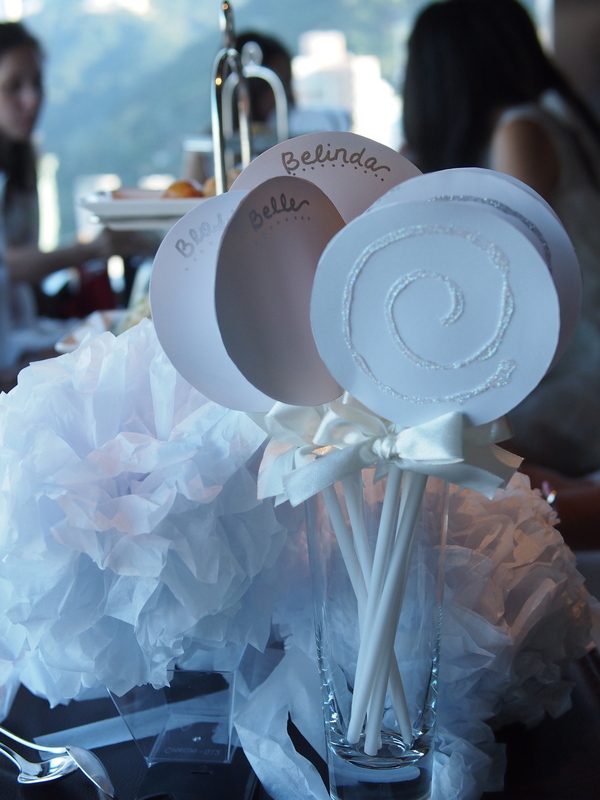 (“Ball-shaped”) lollipops each with a bridal-related “B” word written on the back for our guests to take home. 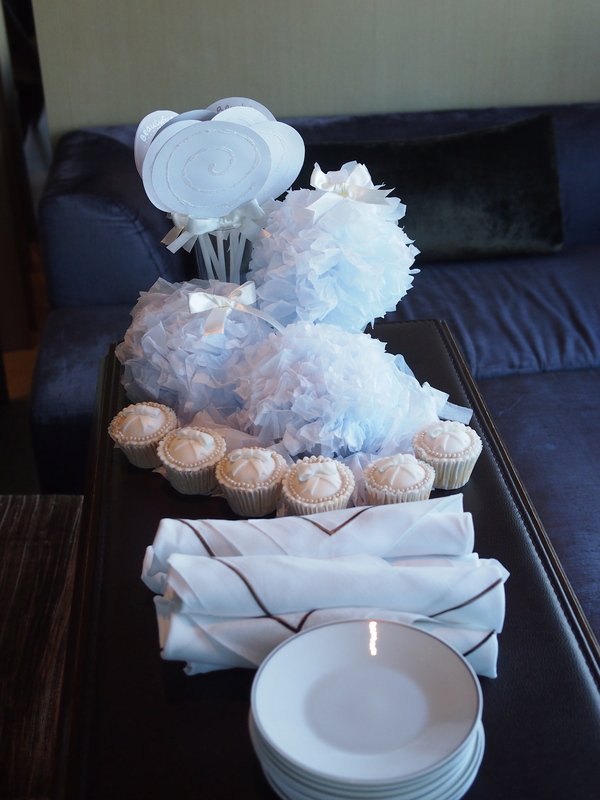 SweetP put together 2 sets of displays, one for each end of the table, consisting of personalized lollipops, paper pom-poms, ribbon bows and cupcakes. 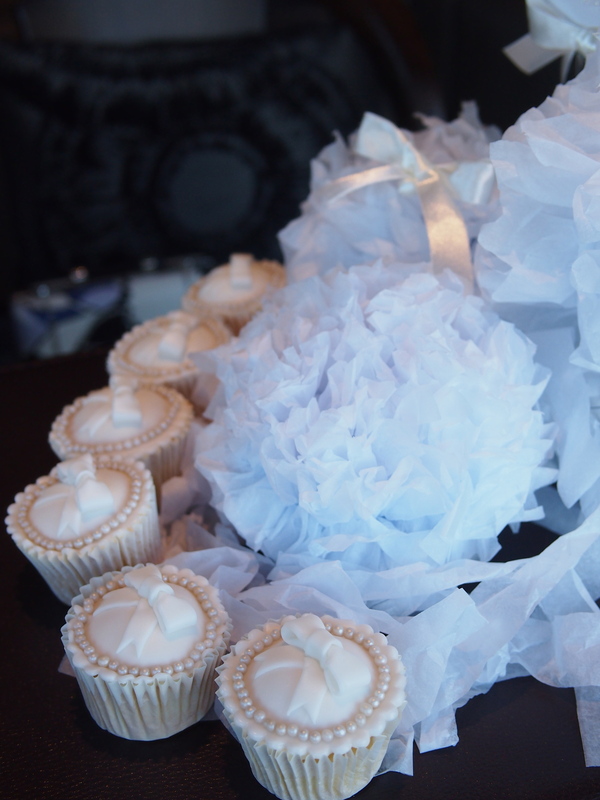 A closer look at the (“ball-shaped”) pom-poms and cupcakes. Tags: bridal shower, Celebration, Cupcakes, party favors, white. Bookmark the permalink.